I have been undertaking parenting assessments for court since 2003. These assessments assist judges in the family courts to make vital decisions regarding children and young people – including whether a child should be removed from their family or carer. Family courts require high-quality information to help them make the best possible decisions. I believe that parenting assessments which are methodical, multidimensional and incorporate evidence-based assessment tools are more useful to the courts in making such important decisions. In addition, the assessment of parenting can be highly subjective; therefore, tools to minimise and test subjectivity are valued. Parenting Assessment Manual Software (PAMS) claims to be one such tool. It is a methodical and functional method of looking at parenting which incorporates evidence-based and multidimensional assessment tools – including the exploration of the parent’s knowledge of parenting, observations of the parent and child together, feedback from the parent, and feedback from other professionals. The software can also be used as a comprehensive assessment tool and with families with additional vulnerabilities and needs (for example, learning needs). PAMS accepts, incorporates and tries to compensate for the subjectivity of an assessor. It does this by systematically covering a number of areas relevant to parenting; for example it provides questions and exercises around feeding, healthcare, parental responsiveness, stimulation, relationships and safety. Guidelines and example answers are provided to aid the professional in making judgments. In 2011 I became aware of growing interest in the field around the incorporation of PAMS within parenting assessments for courts. This suggested that judges found it useful in their decision-making process. I had successfully implemented elements of PAMS within my assessments before and found them helpful in obtaining the required information. Therefore, in 2012, I and other members of my team requested that we should undertake official training and, soon after, I started to fully incorporate it in my assessments. Throughout my training and use of PAMS, questions about its effectiveness grew within my social work team. Sadly, it has not been possible to find answers to such questions via empirical research since there has not been any on the use of PAMS with the family courts. Although it is being incorporated into these assessments, I remain concerned about this lack of research. To rectify this gap in professional knowledge and to provide evidence to inform best practice, my PhD research at the University of York starts to explore the use of PAMS in family courts. How do different professionals make use of PAMS? How effective is PAMS in meeting outcome standards presented in literature in contrast to non-PAMS forensic parenting assessments? What are the perspectives of assessors who undertake both PAMS and non-PAMS assessments of parental capacity? If you or someone you know undertakes parenting assessments in family court settings, and incorporate the use of PAMS within these reports, you are welcome to take part in this study. Please click here to read more about the study and to complete an online survey to help contribute to this gap in our knowledge. 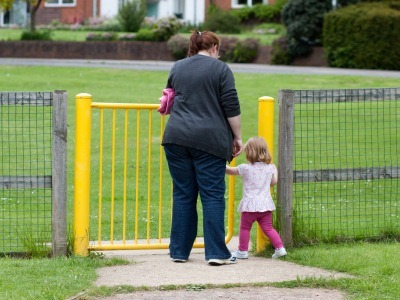 Special guardianship orders: What needs to change? Hello Ann, I agree with you that including parents and other family members would add a lot of weight to the research. I also wanted to include judges who were familiar with PAMS and non-PAMS assessments; however, due to various limitiations (time, funding, ethics, accessability, etc.) my research has been restricted to assessors at this time. Nonetheless, assessors views are still valuable and further research – including parents and the judicary – can build upon this first step. How valid is any research if it does not follow up in years to come what happened to those children that were returned/left at home following a positive assessment? I also find that what is more difficult to assess in these type of assessments is a parents motivation to parent, whose needs are they promoting? There are many parents who need to appear like ‘good parents’, but this is their need!